Egypt's President Abdel-Fattah El-Sisi inaugurated on Tuesday eight power stations, adding more than 3,600 megawatts to the national electricity grid at a total cost of $2.7 billion. The projects, several of which entered service throughout the past year, include the Upper Egypt West Assiut power station that has a production capacity amounting to 1,000 megawatts. The West Assiut power station was constructed by a consortium led by General Electric at a cost of $776.5 million and began operations in two phases in May and August 2015, the media office at the electricity ministry told Ahram Online. As the summer approaches this year, Egyptians are dreading what has become frequent over the past few years -- power outages -- that have not only hit households but also the production capacity of energy intensive industries. Since he took office in 2014, El-Sisi has pledged to solve the energy crisis, through the construction of power stations, the import of liquefied natural gas and solving the energy sector problems. 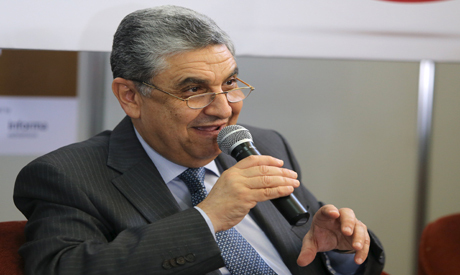 Egypt's production capacity was 32,015 megawatts by June 2014, according to electricity ministry statistics.